In food processor bowl with metal blade, combine pears, bell pepper and chiles; process until chopped. Place in large bowl. *Four (15 or 16-oz.) cans pear halves or slices, drained, can be substituted for fresh pears. Finely chop pears and stir into chopped bell pepper and chiles. **When handling jalapeño chiles, wear plastic or rubber gloves. Do not touch face or eyes. 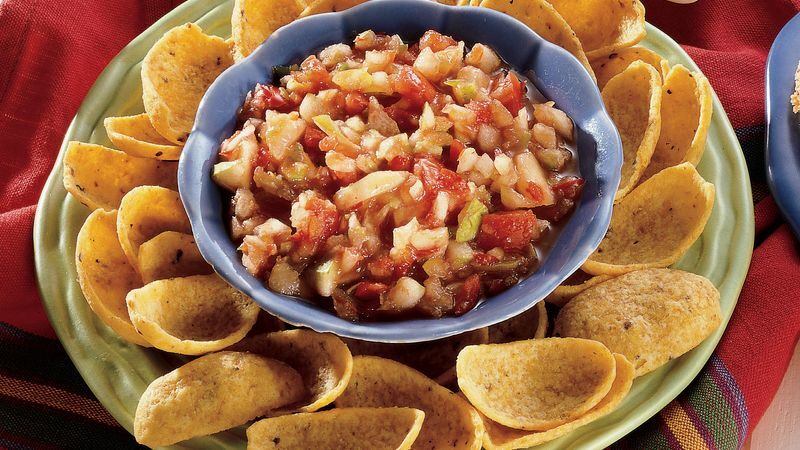 ***This salsa is also a great accompaniment for poultry or fish.